Chapter 2: What is Estate Planning? In this consumer level course on estate planning, we are covering different facets of estate planning. In Chapter 1, we introduced this course and series. Here in Chapter 2, we will explore what estate planning is and why it is important to you. What is estate planning? A process. Estate planning is a process. It's really that simple. Estate planning is a guided process (guided by a professional who specializes in estate planning) of ordering your assets and property and creating certain legal documents that will bring about certain results in the future, all according to your goals and directions. 1. Titling of assets or the rearranging of titles. 2. Establishing of beneficiary designations or amending existing beneficiary designations on insurance policies, IRA's or other types of investments. 3. Creation of a Will. 4. 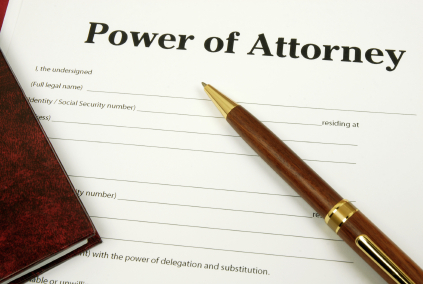 Creation of Durable Powers of Attorney. 5. Creation of Health Care Powers of Attorney or what is also sometimes called a Health Care or Medical Directive. 6. Creation of a Living Will. 7. The consideration of trusts which may lead to the creation of one or more trusts. When trusts are considered an analysis of probate issues also occurs. 8. Tax planning. In estate planning, we consider the following types of tax planning: income tax planning; gift tax planning; and estate tax planning. This may also involve consideration of a tax many people have not heard of knows as the generation skipping transfer tax. 9. Planning for special situation and needs. Examples of this include: planning for parents who live with you or planning for a child or other relative with special needs or disabilities. Because every client's situation is different, the process not only looks different from one client to the next, but the list of documents from one client to the next is also different. Due to these differences, it is critical that you work with a qualified professional who specializes in estate planning who can guide you through your own estate planning process. Each of the nine items listed above will be covered in separate chapters in this estate planning course for consumers. Remember, that not all of the nine will apply to everyone. There are certain elements or components that do apply to each estate plan. In a future chapter of this course, we will cover the Basic Components of Every Estate Plan. If each estate plan, by definition, is individualized, and each client's estate planning process is different, where does anyone begin? The starting point is to identify each client's goals and objectives. That is the purpose of our next chapter, identifying estate planning goals. We will cover goals that clients will routinely identify and how you create a list of your own goals and objectives. Let us know if you have questions about this course in estate planning and if you would like to see any other topics covered as we proceed through the course. Thank you. Do you favor the death tax? Copyright B.H. GREENBERG & ASSOCIATES 2010-2015, All Rights Reserved. Simple theme. Powered by Blogger.